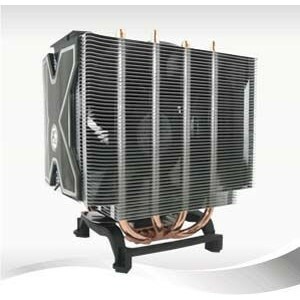 The unique twin tower heatsink consists of 102 fins, which significantly increase the heat dissipation area to distribute massive amount of heat faster and more efficient.The 120mm PWM fan which combined with 8 heatpipes (4 double-sided) and the twin tower heatsinknot only transfers heat from the CPU, but it also cools the RAM, north bridge and voltage regulators.Together with the pre-applied MX-2, the Freezer Xtreme offers performance far beyond stockcoolers and achieves 160 Watts cooling capacity,an excellent thermal management that boosts overclocking toa new level. The bigger the fan doesn't mean the noisier the cooler will be. The 120mm fan of the Freezer Xtreme is equipped with low noise impeller and patented fan holderfor quiet operation. 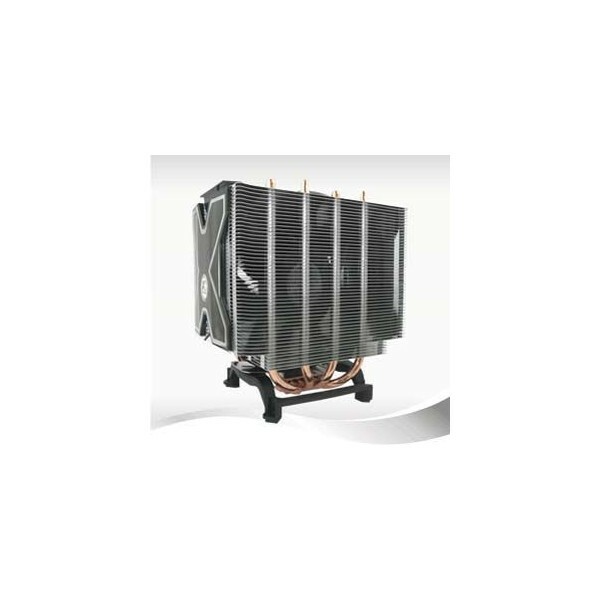 Controlled by PWM signal, the fan runs just the necessary speed for lowestnoise level at maximum cooling capacity. The result is outstanding - the Freezer Xtremegenerates only 0.5 Sone at full load, much quieter than the standard and aftermarket coolers even with a bigger fan.